We’ve covered certifying your program, but what is the best way to ensure your drone pilots have the basic training they need? There are several different law enforcement drone pilot training programs out there, but the important thing is to make sure you have more than just the classroom information. Many online Part 107 training programs just teach you enough to pass the test. Largely absent from those classes is any information about how to actually fly a drone, so hands-on and in-person training is a must. Under a COA, the FAA allows police departments to self-certify their drone operators, so that puts quite a bit of responsibility on UAS program coordinators to make decisions about training. An understanding of the different types of airspace, and how you can and cannot operate within them. Aviation weather, weather products, and how they apply to UAV flight. Basic understanding of your equipment, regular maintenance and repairs. Understanding medical factors that may contribute to a pilots ability or inability to operate a drone safely. Understanding airport environments, and how to operate safely near them. Radio communications and the air traffic control system. Actual flight techniques, checklists, and emergency procedures. FAA policies, procedures, reporting requirements and documentation. An understanding of what a COA is, and how to operate safely under one. An understanding of how to develop policies and procedures for your agency. 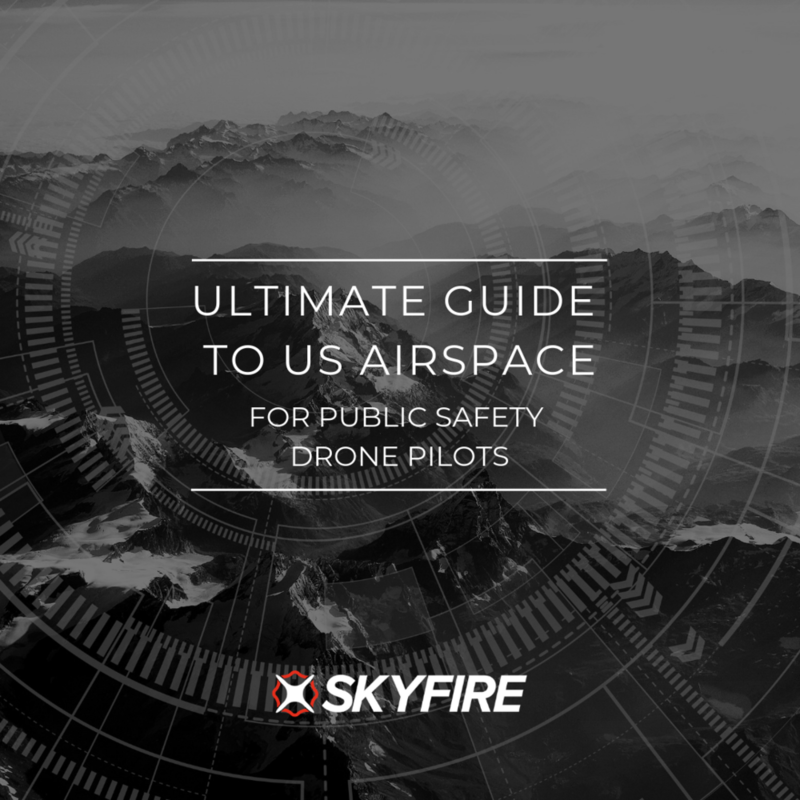 At Skyfire, our Public Safety UAV Training Course offers all of these, both in the classroom and in practice, over a two-day period, and allows you to operate safely and with confidence in your knowledge of UAS rules, regulations and procedures. The bottom line is that there is no right way to start a law enforcement drone program--it will be different for each agency, their political climate, their budget and their mission--but if you are going to start a UAS program, there are several things you need to ensure your program has. Starting a police drone program without a plan, training, political approval or some type of FAA authorization would be like operating a fire arm with no training - it’s not safe, it’s not responsible, and it will likely land you in hot water in some way or another.